Sometimes when I’m stuck and need some inspiration, I’ll find an interesting image, imagine a story taking place in that scene, and write about it. It’s a good exercise to get the creative juices flowing. What’s the story in this scene? 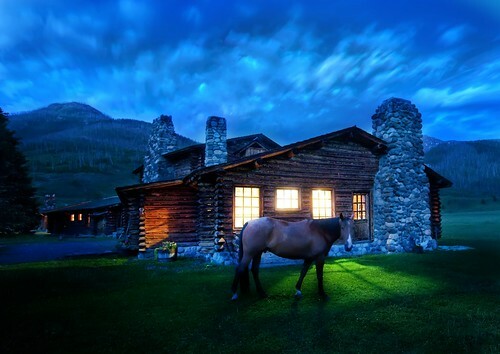 This photo titled An Evening Stroll Around the Cabin is from one of my favorite photographers, Trey Ratcliff, aka Stuck in Customs. He also took the photo that was adapted for the GHC home page. Trey uses a photo technique called HDR that results in stunning detail and colors. He’s very generous to make his work available under a creative commons license, which means it can be used in a non-commercial context with credit given to the photographer. Thank you for the inspiration Trey!